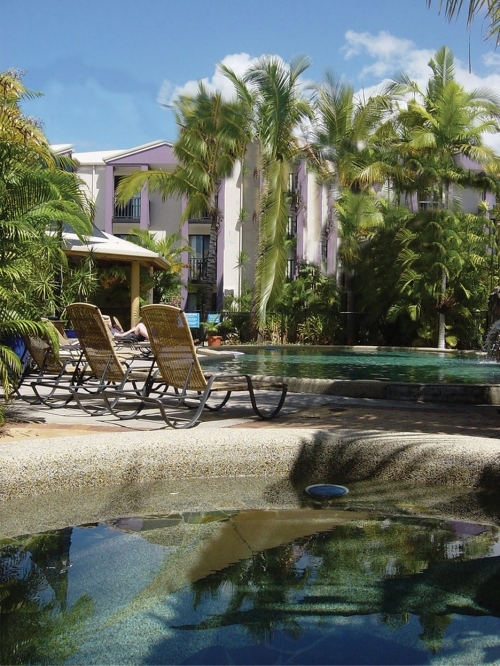 Bohemia Resort Cairns is one of regions most popular and diverse style properties, offering a myriad of price busting accommodation options with a total of 72 rooms and suites available. 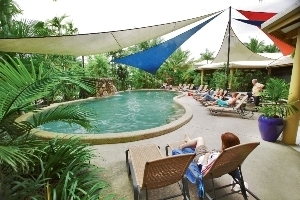 With over 15 different room types on offer Bohemia Resort Cairns is sure to easily accommodate any type of single, leisure, family, business, local or large group travellers comfortably. 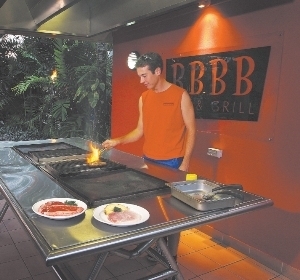 Bohemia Resort Cairns is ideally located about 1.5km north of the Cairns CBD and approximately 1.5km South of the Cairns Domestic and International Airports and 3 blocks from the Esplanade foreshore and walkways. 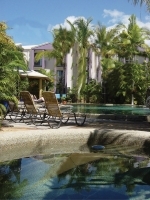 Bohemia Resort Cairns can be used as a base whilst exploring all that Tropical North Queensland has to offer. 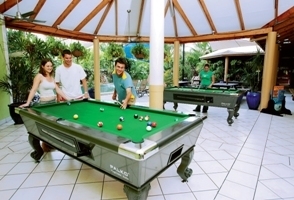 Bohemia Resort Cairns prides itself on having modern comfortable resort facilities and amenities. As a leading provider of accommodation suiting all budgets the resort ensures that all market sectors are fully catered for. The property has 72 Air-Conditioned Rooms, comprising our fully en-suited rooms such as the Studio Single, Colonial Queen, Garden View, Comfort, Pool View, Family Studio and Corporate King Suites. 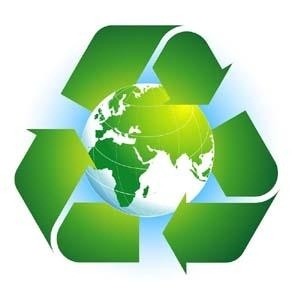 There is also a selection of 1, 2 and 3 bedroom Fully Self Contained Apartments. 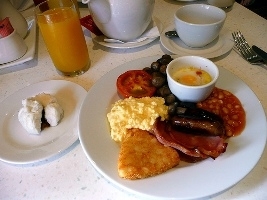 Our ever popular budget busting Share Rooms have private bedrooms with share bathroom facilities. Each Share Room has an adjoining bathroom for easy access, these include our Premier Dorm Rooms, Share Double Rooms and Share Quad and Female Rooms. 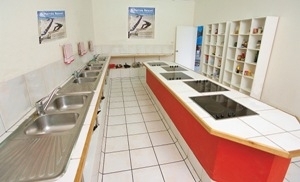 The property also offers female only rooms for all share style accommodation. Accommodation buildings are set amid beautifully landscaped gardens with a large number of suites and share rooms being located poolside or with pool views. 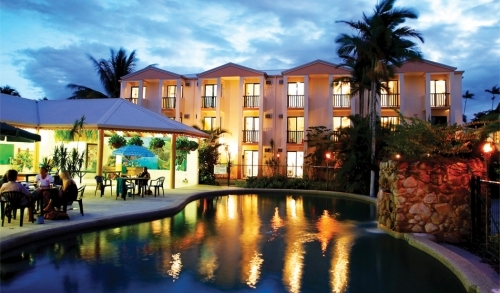 There is a large 25 metre resort style swimming pool and waterfall which creates a focal point to the property. 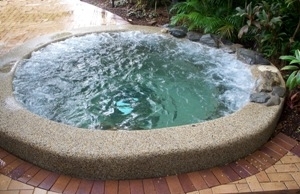 The 20 person outdoor spa provides a special casual and fun ambience rarely found. 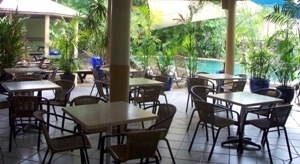 A private fully air conditioned Guest Lounge is located in our recreation building and is fully fitted out with Big Screen TV, DVD & CD Player, Play Station and various Wii Games with large comfy lounge suites and assorted ottomans. 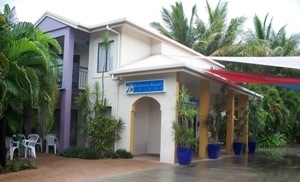 Bohemia Resort Cairns also offers Car & Mountain Bike Hire to guests with suitable identification and current motor vehicle license details. Check In is available 24 hours per day via our Express Check In Desk. While at the property why not take an early morning walk along the Cairns Esplanade and feed the local pelicans and birdlife. Or visit the Cairns Marina and watch the cruise and tour boats depart on their daily trips to the Islands and outer reefs.